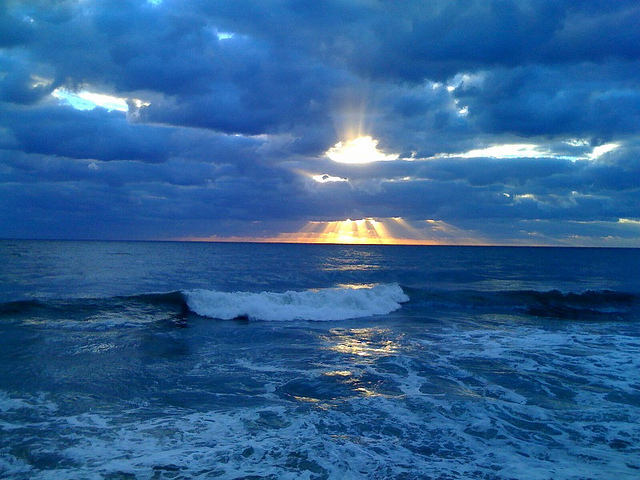 A Monday morning sunrise at The Breakers in West Palm Beach, Florida. Mondays get a bad rap. The propensity to hate Mondays is culturally engrained, but I've found that rejecting the TGIF concept that good can only begin when work has ended has been a far better way to go. A few years ago, I spoke at a conference for private club catering professionals. While listening to my friend Mindy Weiss's presentation later the same day, she mentioned that every Monday she gets up excited about her job, no matter how much she may have hated it over the weekend. Naturally, I loved her talk since Mondays are my favorite (as are sunrises, for many of the same reasons). It was a great reminder that Mondays can be magical, if you let them. 1. Mondays are a fresh slate and clean start. Every week you get a chance to start fresh, try new ideas, dream bigger, do better work. Yes, you can technically do this each morning, but sometimes that pace can be a bit overwhelming. Mondays provide a nice, clean, manageable break in time. 2. Mondays are a great reminder of how lucky a person is to be doing work they love. If you hate them, they're a great reminder that it's not too late to start figuring out what it is you'd rather be doing and start working towards doing that. 3. The most successful people I know love Mondays. Some of the kindest people I know also love Mondays. I don't believe that success and kindness have to be mutually exclusive.